Without doubt Michael Schumacher was Ferrari’s most successful and longest serving F1 driver, driving for the team for an amazing eleven consecutive seasons, after which he remained as a consultant for a further two years. During that time he drove Ferraris in 181 Grand Prix, of which he won 72, finishing on the podium no less than 108 times, claiming 58 pole positions and setting 53 fastest laps. These outstanding statistics resulted in him winning five World Drivers’ Championships, to add to the two that he had won with Benetton in 1994 and 1995, whilst Ferrari won six Constructors’ Championships during the “Schumacher Years”. 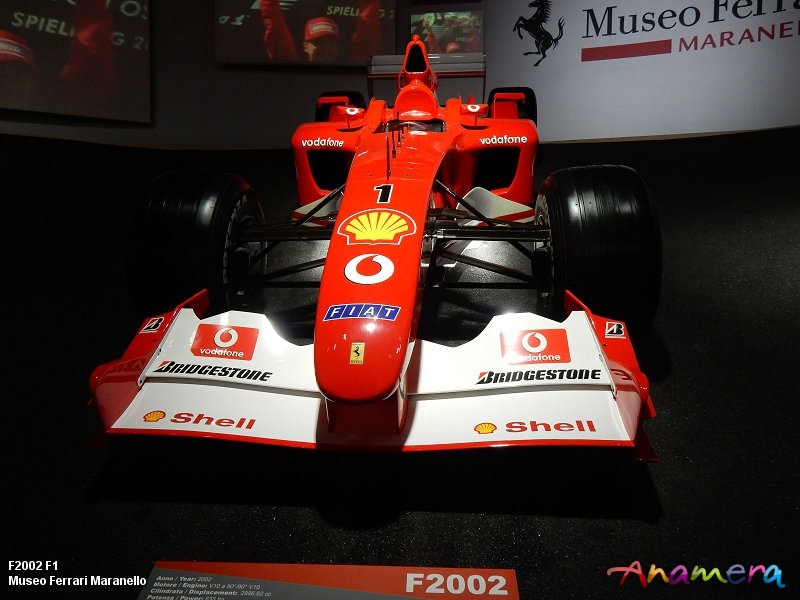 To celebrate his 50th birthday on 03 January 2019, the Ferrari Museum in Maranello, has staged an exhibition of his Ferrari years. 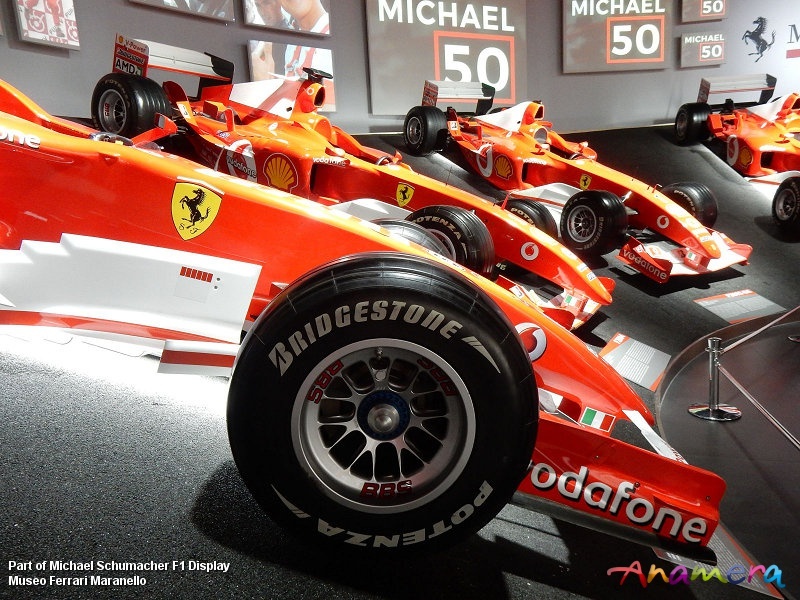 This features a range of the F1 cars that he drove during the course of his Ferrari career filling the ampitheatre, ranging from the 1996 F310 model in which he started driving for them, and in which he won three Grand Prix, through all his Drivers’ World Championship winning cars, namely the F1-2000, F2001, F2002, F2003-GA and F2004, to the 2006 248 F1in which he won seven Grand Prix, finishing 2nd in the World Drivers’ Championship to Fernando Alonso. The celebration exhibition also naturally includes video footage of his racing exploits, together with examples of the Enzo and 430 Scuderia models, to which he contributed in the development, the latter being presented to the public by him at the 2007 Frankfurt Motor Show. Concurrently the “Driven by Enzo” exhibition continues, featuring cars that Enzo Ferrari drove whilst alive, together with subsequent examples that he no doubt would have driven or been driven in, had he still been with us, together with the other feature displays, which have had some changes to the line-up. Notable is the inclusion of a blue over white 340 MM Vignale Spider, chassis # 0284AM, whilst the white FXX-K Evo previously on display has been replaced by a red example of the same model, chassis # 219729.